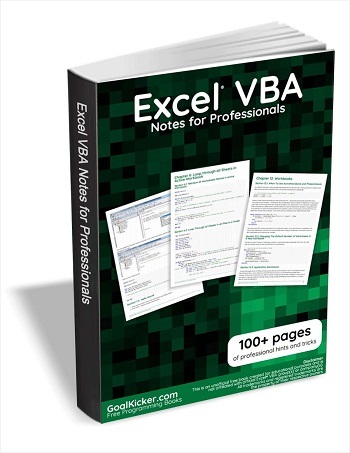 (tradepub)Excel VBA Notes for Professionals" | Promo2day (tradepub)Excel VBA Notes for Professionals"
Bring your Excel skills to the next level. Learn everything you need to know about Excel VBA and start customizing office solutions. With over 100 pages of knowledge, this resource covers the basics and dives into more advanced components. Take advantage of the examples, screen shots, and strategic advice inside. This eBook is compiled from Stack Overflow Documentation, the content is written by the knowledgeable people at Stack Overflow. Current time: 04-18-2019 , 05:23 PM Powered By MyBB, © 2002-2019 MyBB Group.